Jailbreaking is a word every iPhone owner is familiar with. Many have tried their hands at it while others have gone to shady markets to get their iPhone ‘jailbroken’. But, the real thing is jailbreaking needs an explanation before you try to your hands at it or hand your iPhones over to those ‘experienced professionals’ over at shady spots. The term , jailbreaking is pun on Apple which imposes limits upon its devcies and the whole iOS ecoystem. Jailbreaking is basically, a process of removing the limits imposed by Apple. This is a process of installing custom kernels, bang on your iPhone. Although mostly renowned for iPhones, it can also be done on the iPod touch, iPad and Apple TV. Jailbreaking gives you priveleges to do what you cannot do on a normal iPhone – it allows you to install applications, themes and extensions. See, if your phone is jailbroken then you can get the permissions needed to modulate your device in any way. It is different from rooting an Android device, since it would alllow you to install apps that Apple doesn’t want you to touch. You can jailbreak your device by connecting it your PC (tethered jailbreak) and also freely (non-tethered jailbreak). Jailbreaking cannot get you into a real jail, although Apple might kill your warranty if it finds out. 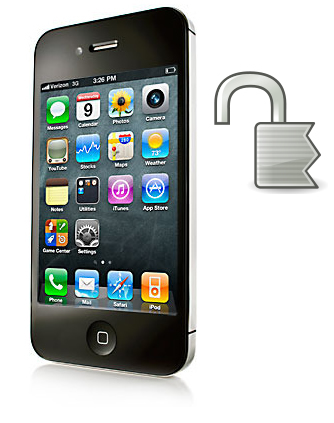 Like every hacked system, your iPhone becomes vulnerable to viruses after jailbreaking. These viruses called iPhone worms, have actually caused reasonable damage in the past. Always use a trustworthy site (e.g. macworld) for getting the instructions and follow them to the letter to jaibreak your iPhone. Your data is no longer protected after jailbreaking. Your contacts, your personal messages or even your bank passwords can be leaked. The software you might end up installing can affect your battery and performance, since it hasn’t been properly optimisized for Apple devices. If you get a hardware/software glitch that forces you to take the device to Apple, they will hold you for your offence and void your warranty. You get super user access to iPhone. You no longer have to depend on the app store for permissions. You can backup your data without the need for Apple to approve. You can personalize and customize your device like never before. In a carrier locked device (if you get your hands on one), jailbreaking is the best option to use it in the best possible way.